A classic 9ct , two colour gold rope bracelet. A delightful piece of jewellery for any occasion. 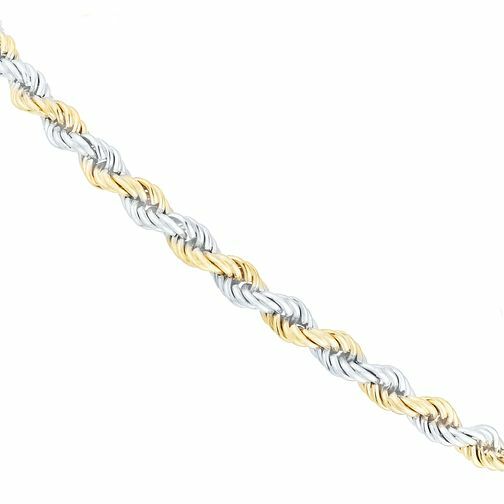 9ct Yellow Gold 8" Rope Bracelet is rated 5.0 out of 5 by 1. Rated 5 out of 5 by Anonymous from The rope style seems nice and very strong. Bought for my wife for christmas. She's really pleased with. It is well visible not like some other thin bracelets on the market.